Sometimes I think you live in my head. Scrooge's ghosts were helpful. 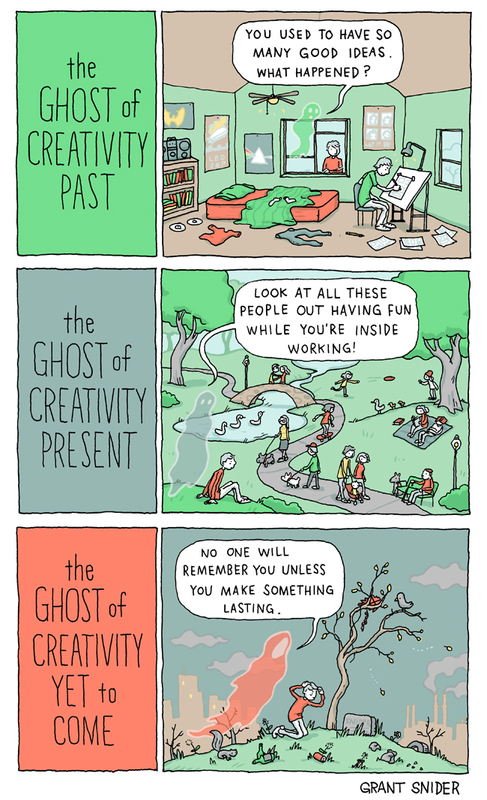 Why are the creativity ghosts such downers? I should have included this disclaimer: I've never read Dickens' "Christmas Carol," but I've seen "Scrooged" with Bill Murray countless times. Other families show "It's A Wonderful Life" or something as a holiday tradition. I show "Scrooged." That was great, and hits a nerve.